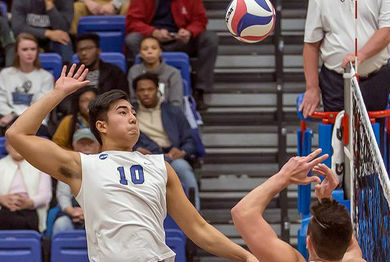 EMU men’s volleyball player R.J. Ocampo (Virginia Beach, Va./First Colonial) had an incredible opportunity this summer before gearing up for his senior season with the Royals. Ocampo spent over a week in Brazil on the USA D-III Volleyball Team representing his country, his sport, and his school. Joining players from other high profile programs, such as Continental Volleyball Conference rivals Kean and Juniata, elevated Ocampo’s play.